When you're planning a casual event or are short on time, let us take care of supplying the food. South Jersey Subs provides catering services for many types of occasions and sub delivery for nearby customers. 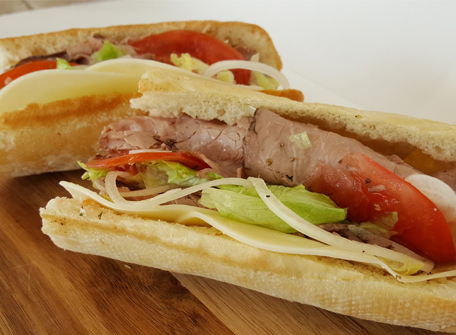 You can taste the difference in every bite of our subs, which is why everyone will want more after trying them. Please give us at least 24-hours' notice to put together cold sub sandwich platters based on your selections from our menu. Catering prices will vary depending on group size. South Jersey Subs delivers within a 5-mile radius of our location in Colorado Springs, Colorado, for orders of $15.00 or more. The delivery fee is $2.99 within 3 miles and $5.99 within 5 miles but waived for students who show their ID card.